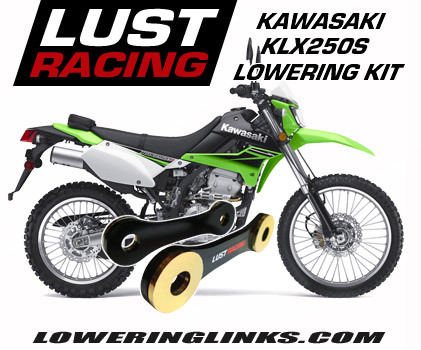 Lowering link kit for Kawasaki KLX-250. Lowers the rear suspension by replacing the suspension links. The kit is supplied complete with installation instructions. The suspension links in this kit lowers the rear suspenison by approximately 2 inches. Kawasaki KLX250 lowering links. 2 inch lowering kit for Kawasaki KLX250S. 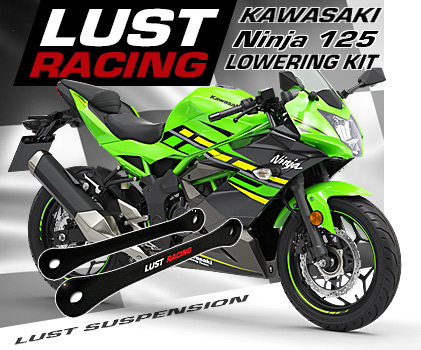 Suspension links made in roll forged steel by Lust Racing the leading European manufacturer of high quality motorcycle lowering kits. These links are stronger than the standard links they replace and are engineered to last the life-time of your Kawasaki KLX250. PS! 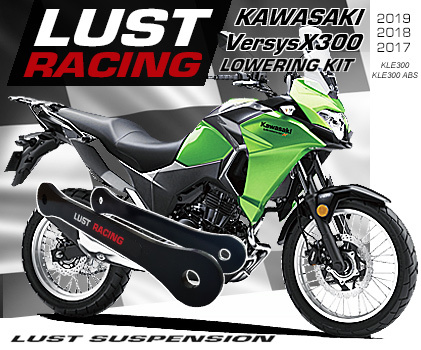 We have also other lowering kits for the KLX250 in stock lowering the bike 1 inch.